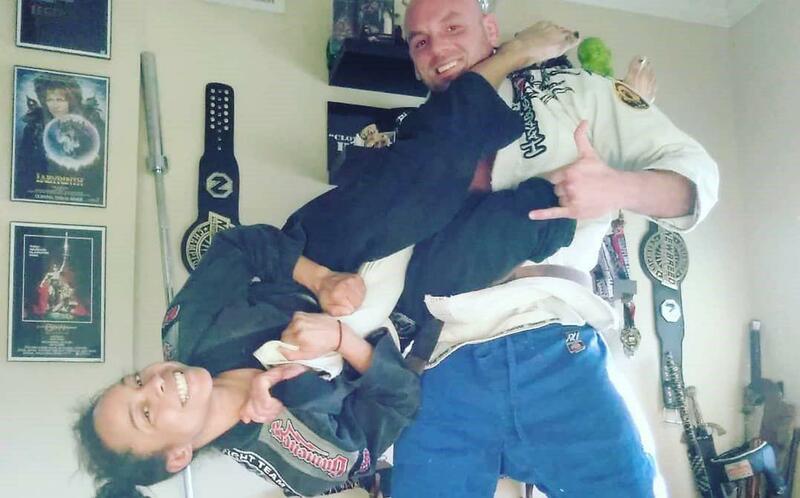 BJJ takes a new highs and it seems that it is going to be as popular as MMA. This lead CJ Hancock to drastically change his career. Recently Hancock’s heart stopped when he collapsed during LFA. Medics rushed into the ring and brought him back to life and promptly took him to the hospital where it was determined he had kidney failure as a result of weight cutting. CJ Hancock posted a Facebook update on Saturday morning to say that he is ‘okay’ and recovering in the hospital: ‘Well I died tonight in the cage… I’m okay. Thanks everyone. My heart stopped, and I had kidney failure, they did cpr and hit me with the defibrillator twice and brought me back. Still unsure why it happened. I had a hard weight cut. Doc says I shouldn’t fight again… I’m broken, I guess I’ll just be a coach from now on… I still plan on competing in Brazilian Jiu jitsu and BJJ superfights, when I get better. Thanks to everyone that supported me!’. In a statement sent to MMA Fighting, LFA CEO Ed Soares said Hancock actually fell seconds after he was on the receiving end of a body kick. Hancock made weight at 170.5 pounds Thursday at weigh-ins. He fought on the amateur level as high as 205 pounds. For now, that means getting back to his first love of jiu-jitsu. He plans to compete in submission grappling tournaments. He wants to coach more. And he wants to spread the word about the dangers of weight-cutting.